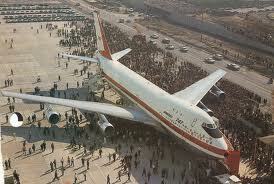 This date was the first test flight of the Boeing 747. Interesting that they chose the same date 6 years after the first test flight of the Boeing 727. I can’t find if this was purposeful or a coincidence? Does anybody that works at Boeing have any info on this?